Welcome to The Firefighter’s Twins Blog Tour and Giveaway hosted by JustRead Publicity Tours! The Firefighter’s Twins by Heidi McCahan is a very sweet Christian fiction novel that definitely left me smiling! The characters are well written and very realistic, the plot of the story is engaging, and the messages are timely. I’m going to be honest here. I struggle to trust. Trust is one of the hardest things for me to do. I struggle to trust God and others. I am MAJOR Type-A. I love to control my surroundings as much as humanly possible. When life gets crazy and chaotic, I tend to clean because in my cleaning I can scrub out what is rotten and dirty, and organize everything the way I think they should be. I can create order out of disorder. There is a moment where Natalie, the heroine of this novel, thinks to herself, “If she was brutally honest, she had put a lot of faith in her own abilities, because God certainly hadn’t cooperated with her plans…So she stopped trusting Him.” WHOA! Was this moment a major mirror moment for me. Those of you who know me, and those of you who have been reading my blog for some time now, know that my best friend is dealing with a scary, horrible, no good, rotten form of cancer that is so bad it only has a Stage IV. You know that I’ve been desperately praying. Lately, I have been struggling. It seems like my prayers for healing are not working, are not being heard. I’m terrified. The other day I was in my car driving back from a movie date with my best friend. I was struggling hard not to cry. I hate seeing her so frustrated and depressed. Wouldn’t you know it — at that very moment Lauren Daigle’s song Trust In You came on the radio! I burst into tears. I am failing at trusting in God. He isn’t moving this mountain called cancer. WHY?! So because He is not bending to my will, I am struggling. I feel so dumb even writing this. My head totally knows that God has this. God’s got control over my best friend and her situation. But, my heart is hurting and that hurting has put up a wall I MUST take down with God’s help. Natalie slowly comes to realize this too over the course of the novel. She is so focused on herself, what she thinks she finally deserves, and how her changes will positively effect everyone else (so they must be the right choices, right?!) that she becomes myopic. She leaves God out. Her praying becomes stunted. Natalie realizes she has to change her heart…and, I realize that too. Another topic that comes to the forefront in this novel is that fear parents have in regards to their children. We want so desperately to protect our children from literally everything that we become a little crazy. We stop asking for help because only our way is the right way. We can’t possibly believe the notion that it takes a village to raise our children because the village is filled with crazy people who want to let our children play on a dirty swing set with stranger danger lurking around every corner. Are they insane!? We start to see enemies in everything and everyone. Wash your hands before you even think about looking at our kids, Grandma! Did our daughter just sniffle? Do we need to rush her to the ER? Was that kid mean to our precious child? Do we need to visit the principal and the superintendent? This is exactly how Shay, the hero of The Firefighter’s Twins, behaves in this novel. Watching Shay parent is sometimes hilarious, often annoying, and completely relatable! Again, the issue isn’t really one of fear, but of trust. Our children are created by GOD. He used His two competent hands to perfectly create our children. They aren’t technically ours. They are HIS. As parents, we need to trust in His will for our children. We need to learn to not see danger around every corner, but instead allow our kids to grow up into independent, strong, capable adults who love and trust in God themselves. When we let our fear get the better of us, we are really just hurting our kids. We aren’t actually being the parent they need. What a truly excellent reminder for me as a mother! So, I guess this novel pulled a lot out of me. I kind of feel like I just spent an hour on God’s counseling couch writing this post. When it came time for me to read this novel, I never expected that I was going to get anything other than a sweet and satisfying story. I got that for sure, but I got so much more. God really spoke to me through Natalie’s and Shay’s struggles. He definitely showed me a few areas I still need to work on! 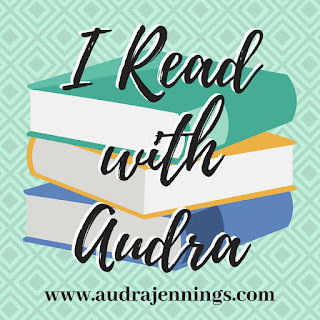 If you are looking for a really fun story with depth that gets you to look inside yourself and see who you really are as a parent and as a child of God then The Firefighter’s Twins is definitely the novel for you. I received a review copy of this novel in eBook form from the author and Just Read Tours. In no way has this influenced my review. The opinions expressed in this review are my own. Magnolia Market tote bag Hearth & Hand Magnolia Notepad + tell your story pencil 4 magnetic bookmarks $25 Amazon Gift Card Gratitude journal + lists notebook weekly planning pad Things I Never Told You by Beth K. Vogt Falling for You by Becky Wade The Firefighter’s Twins by Heidi McCahan Giveaway will run from midnight June 1, 2018 through 11:59pm June 11, 2018. It is subject to the policies found here. Thanks for the great review, Nicole! Boy when you do a review, you don’t just review the book! You put your heart and soul into it, too! Thanks for being transparent. When I compare your reviews to mine—- mine are a bit too cold! Maybe I need to warm them up! You are teaching me! Keep up the good work. You came on the scene a little over a year ago and have gained quite a following! Blessings! Have a great week! AW! Thanks Paula for all of your wonderful compliments. My heart needed that today. It’s been a rough few days. Thanks for being my #1 supporter right from the start. And, I enjoy your reviews. I wish there were a way to like your reviews (like a button I have where you can click Like) so you would know all the people reading your stuff! It is definitely a really fun read! But, it showed me a lot of my parent quirks, too. LOL! Thank you for your review on “The Firefighter’s Twins” by Heidi McCahan and for being part of the take over tour. Wow, Nicole, thank you very much! First, let me say that I appreciate the time, energy and thought you’ve put into your review. Second, it means a lot that you found the deeper layers to this story…it pulled a lot out of me as I wrote it, too. Finally, thanks again for being a part of this tour. Authors can’t get their books into the hands of readers without a whole team, and we are grateful for readers/bloggers like you who help spread the word. On a personal note, I’m truly sorry to hear that cancer has impacted your life and your friend’s life, as well. Such a hard journey. You are welcome! I loved reading your book. I’m so glad to be a part of a team that will help spread the word about your wonderful story. I take very seriously supporting Christian authors. It sort of feels like my little ministry! Thank you for your review. Thank you for being so brutally honest here. We are all a work in progress. A phrase I heard recently is: God is not done with us yet. Yessss!!! Thank you God for not giving up on us. I love to read stories where I grow and learn something or two. I look forward to reading this book. Great review! Thank you for being part of the tour! Thanks for the great review and for hosting the tour! Oh, WOW! I have so very many trust issues it’s not even funny! This review touched me on so many levels. Thank you for writing it, and having the guts to bare your soul! I LOVE Lauren Daigle’s song Trust in You! In fact, I LOVE all her songs! I am so sorry for your friend, and you as you walk through this with her. Thank you for reading my post. It means a lot. Lauren Daigle is one of my absolute favorites. Trust is hard…it seems the older I get the harder it gets. I just go to Jesus immediately when I feel like I’m starting to distrust. It helps a lot. Blessings to you too! You are welcome! Lauren’s songs are beautiful aren’t they? I can so understand what you are saying. Sometimes it is hard to let go of those feelings. You are right, Jesus is the only way to get back on track!